And the Wall Hanging goes to Barbara Congratulations! Send me your mailing address and I will get it right out to you. Barbara, I don't have your last name but I do have your e-mail so I am going to send you a note right now. We still have two more drawings tonight and then the big one tomorrow. 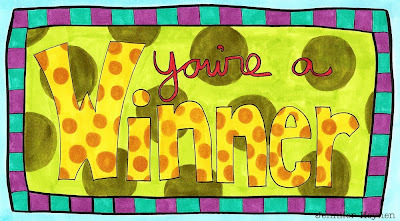 You are still in the drawing if you gave me your name earlier. This hours drawing is for a set of Christmas beads. I have Christmas beads every where online. You can find them at my website here and here, plus you can find one of a kind bead sets at the Jangles Etsy shop. I will announce the winner at 9:00 for these.